Northwest National Real Estate: New Listing! 2 Bedroom Home For Sale! New Listing! 2 Bedroom Home For Sale! Rare find! This 2 bedroom and 1 bath room home is located on 4 city lots. You have a very private feeling when you sit on the wrap-around porch and enjoy your large lawn with beautiful mature trees. The house has had many updates, including new laminate flooring. 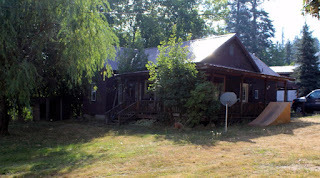 There is a full unfinished basement, 1 car detached carport, wood shed, and many more features. Contact St. Maries Realty at (208) 245-4502 for a private showing. Priced to sell at $107,500.